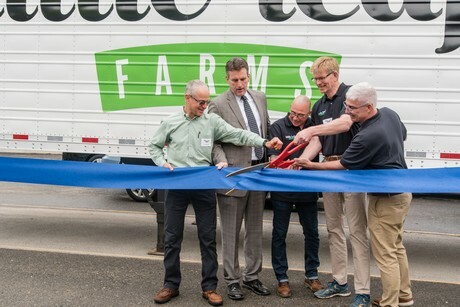 Little Leaf Farms, one of the largest growers of hydroponic baby greens in North America, has officially opened its expanded greenhouse in Devens, Mass this week. The expansion doubles the size of the greenhouse from 2.5 acres to 5 acres, and more than doubles its annual production of baby greens. 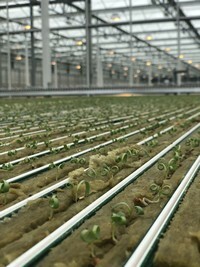 Thanks to their innovative growing system the greens are grown fully automated, without any chemicals and without any human hand touching the produce. 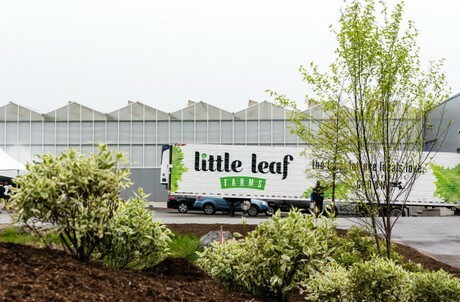 Little Leaf Farms also announced it has purchased adjacent land for a third expansion project set to begin in 2019, which will further increase the size of the greenhouse to approximately 10 acres. 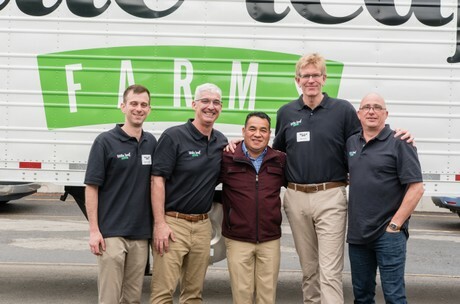 For doing so, Little Leaf Farms is using a fully automated growing system. 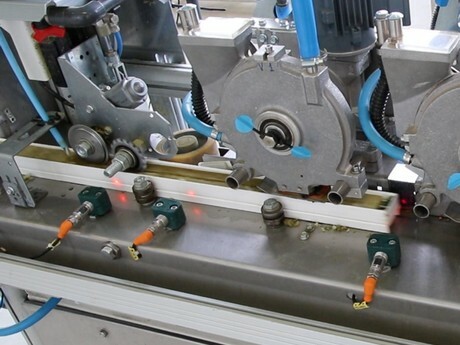 The system is optimized for growing of baby leaf lettuce and makes it possible to grow leafy greens fully automated without any human hand touching the produce from medium filling and seeding to harvesting. The seeding is done directly into the gutters to avoid the need of transplanting. Germination takes place under the growing line. After germination the gutters are lifted up to the growing line. 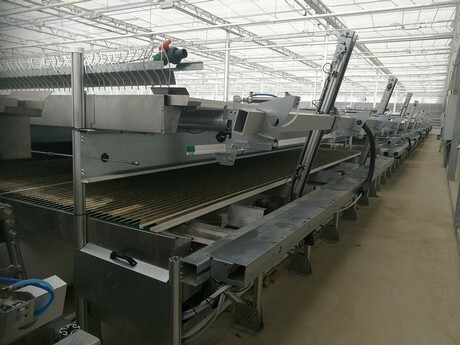 During the growing process the gutters are moved automatically through the greenhouse toward the harvesting area. As plants grow the distance between the gutters continuously is adjusted - giving each plant as much space as necessary, but as little as possible. Once ready for harvesting the gutters are transported per conveyor belt to the harvesting area and guided into the cutting machine for a fresh cut. Electric lift moving the gutters from the germination level to the growing line in one smooth movement. 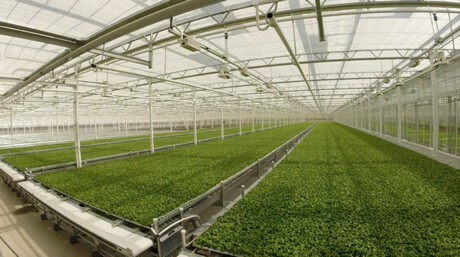 The greenhouse is to be lighted with LED and the company opted for Oreon Grown Light 2.1, water-cooled fixtures by Lemnis. The complete installation of both water and electricity was provided by PB Techniek, Sellew’s installation partner for many years.